Setting up of Messages on the web is pretty straightforward. In Messages on your Phone, go to the overflow menu in the upper right corner of the app (the three vertical dots) then select Messages for Web. 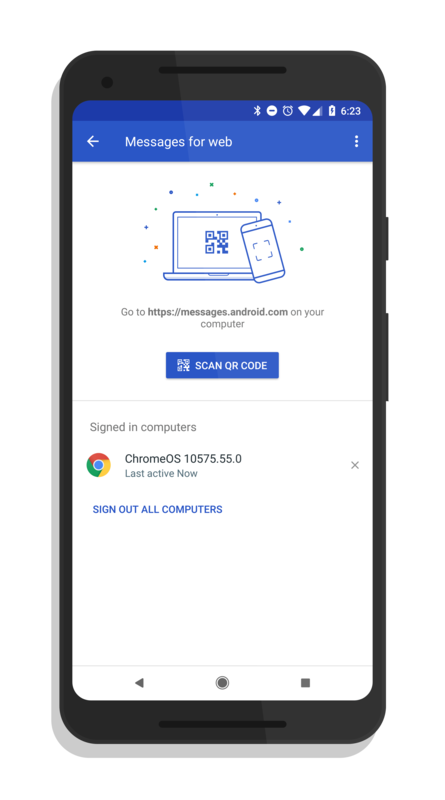 You will see the option to scan a QR code, which you will find on messages.android.com on your computer. Once you scan the code, you will have your devices linked and you can start sending texts from your computer. The only trick in this is that your your phone has to be on WiFi for this to work. You’ll note in the screen capture above that if you have a linked device, like I do, you will see that listed below the QR scanner button. Here you can disassociate your computer with Messages quickly and easily. 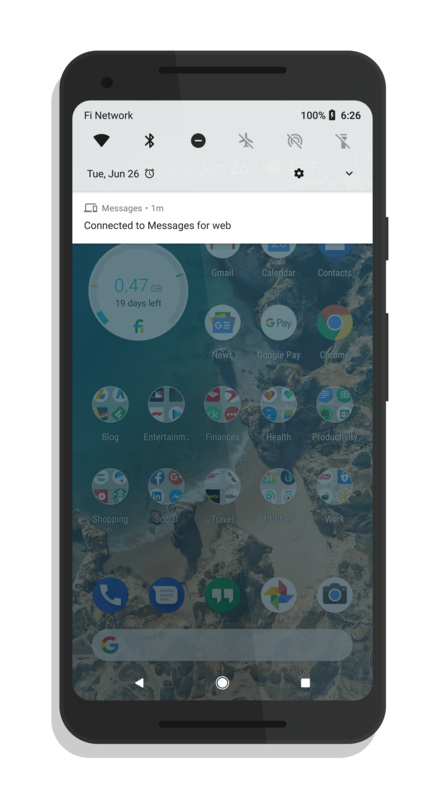 As for your Android phone, you will also get a notification letting you know that your connected to Android Messages on the web. You’ll only see this when the Messages site is open on your computer. Having had the feature myself for much of last week, I have found it to be hugely helpful. It reminds me of how Messages on MacOS and iOS work seamlessly together which is a feature I have missed from Chrome OS. This fills the gap nicely and while it still needs some work, it is certainly a step in the right direction. If you aren’t using Android Messages as your texting app, you can download it from the Play Store. With the advent of unlimited plans from all of the 4 (soon to be 3) mobile carriers in the US, this really needs to work on the LTE network, not just WiFi. Otherwise, it’s incomplete.